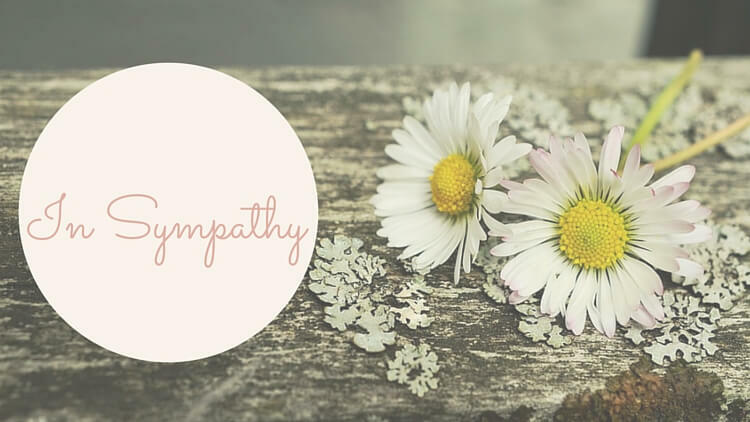 Sharing our loss experiences can have such a profound impact. You never know when the one seemingly small thing you have to share is exactly what someone else out there needs to hear. Heal a Grieving Heart was born from this idea. It provides a platform for other grieving parents to share their stories, connect, and help others. Please help me welcome Mike. This piece was originally published at pregnanacyafterlosssupport.com. I consider the first ultrasound to be my daughter’s birthday. I sat there on the edge of my chair, holding my wife’s hand and smiling, just staring at my beautiful little baby, watching her wiggle and flop around on the screen. Even her little spine was cute! I was immediately in love. I didn’t realize it at the time, but later it would seem as if an entire childhood was crammed into these few 20 minute or so appointments. Imagine most parents’ memories of first steps, first words, school projects, Little League games, school plays, graduations and driver’s tests all compressed into these images on the ultrasound screen. Her loss and the grieving process was a very bitter pill to swallow for many years. You are supposed to lose your parents, and half of married people are going to lose a spouse, but losing a child upsets the natural order of things. Hard to believe that was almost a decade ago. As most people reading this can probably understand, life turned into a living Hell after I became a Bereaved Parent. It is like living inside of a Jackson Pollock painting. Chaotic, messy, and tumultuous. Many of us who have lost children end up in psychotherapy. While well-meaning, most psychotherapy ends up falling meaningfully short. I went through several therapists. Usually not getting a whole lot out of it and leaving not thinking, “Wow that was really helpful.” but, “Wow, she must read a lot of academic journals.” It was like a Computer-Generated Image in a movie scene. I could tell it was fake, even if I couldn’t articulate what about it was fake. Many of us try to muddle our way through the Kübler-Ross Model or something similar, going to support groups, collecting stained glass butterflies and picking out just the right social media meme on anniversaries. We end up forging ahead on our never-ending grief journey and peddling knickknacks to the newcomers. We make new friends, which is good, but there’s rarely any real healing or growth going on. Just another layer of Burnt Sienna drizzled over Jackson Pollock’s canvas and maybe a different SSRI. The prevailing wisdom seems to be to move through the grief. Process it. In my experience, we aren’t going to be able to process that type of grief. Our pre-frontal cortexes will chew on that bone until the day we go to our graves, our inner Woody Allens stammering away with anxiety, worry, sadness, envy and loneliness, moving between a painful past and a fearful future. I didn’t have any healing until I found a therapist that really resonated with me and dispensed with the journey metaphors. “Don’t move on, you aren’t on a journey. Move inward and outward. Don’t process what happened, understand what happened”, was the intention we came away with after the first session. Finally, a flicker a hope. The second session with her we did something called Eye Movement Desensitization and Reprogramming (EMDR). No one really knows how or why it works, but the theory is that it somehow re-wires the brain after a traumatic event. I can say for me at least, it worked. I left that office that day feeling instantly a little bit better, less depressed and less anxious. I started really looking forward to the therapy sessions and getting a lot out of them. I also began reading everything I could about what we were talking about. Thich Nhat Hanh and Eckhart Tolle were some of my favorites. I also meditated daily using an app that my therapist recommended. One of my favorite things that Thich Nhat Hanh wrote was that, “People have a hard time of letting go of their suffering. Out of fear of the unknown, they prefer suffering that is familiar.” That was me in a nutshell, and once I realized that, I was able to move closer towards understanding. After a while I’d still hear the “everything happens for a reason” type clichés bereaved parents hear in casual conversation so often, but they are not taken personally or as hurtful anymore. I knew I was healing when I noticed that happening. One thing that really fascinated me was that in many Eastern languages like Sanskrit and Tibetan, the words mind and heart are the same, and when people say they are thinking about something, they point to their heart as opposed to their head. I think that suggests as to why us in the West who use psychotherapy tend to get stuck in our journeys. At least that’s what I did. Too much doing and not enough being. EMDR and meditation gave me a new perspective. Slowly the Jackson Pollock painting started to look a little different. It’s the way seashells are naturally scattered along the strand when the tide rolls out or how a forest looks when viewed from a hilltop. Not messy or disordered in the least. I sleep better and have way less worry and depression. Its not an instant cure-all and I still slip back into old patterns of thinking from time to time, but overall it has had a huge positive impact. Mike Markert lives in Verona, Wisconsin with his wife Rebecca and their three living children Dexter, Audrey and Owen. Their first child, Lily, was born sleeping in 2010 at twenty weeks. When not cheering for the Milwaukee Brewers, Mike works with Faith’s Lodge to help other families heal after suffering similar losses. You can follow him on Twitter at @michael_markert.